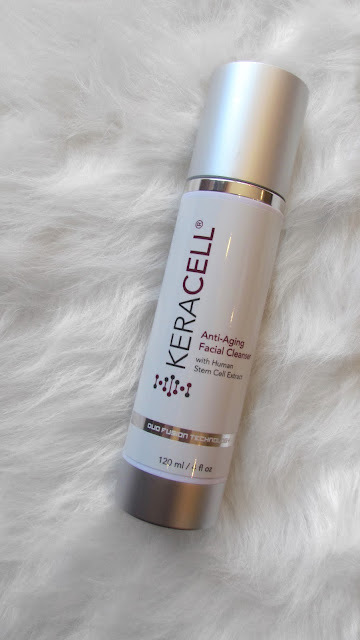 I received the KeraCell Anti-Aging Facial Cleanser, Double C Brightening Serum and the Brightening Serum to try out for you guys so here’s my thoughts!! What they say: Our goal is RESULTS. 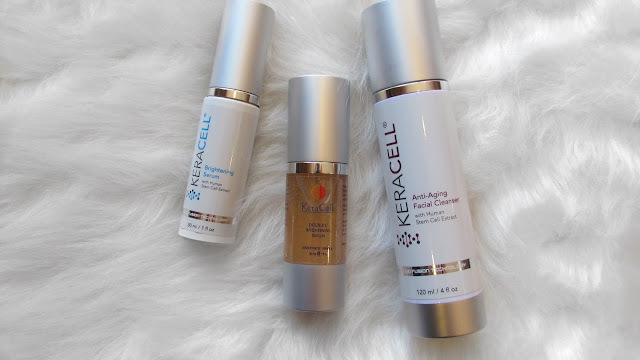 Each product is uniquely formulated and based on Human Stem Cell Extract with growth factors from Stem Cell Conditioned Media. We then combine the Duo Fusion Technology* with other proven cosmetic "bio-active" ingredients such as Peptides, Vitamins, Minerals and the world's most technologically advanced ingredients and innovative compounds for true anti-aging solutions for face, body and hair. WOW. All I can say is WOW! These products are truly high quality products that actually work, smell amazing and leave you feeling wonderful. One day I washed my face with the Anti-Aging Facial Cleanser and topped it off with the Double C Brightening Serum that I used as a face primer and the next I did just the Brightening Serum alone. All three of these products smell very similar so if you wear them together you don’t have different smells on your face, which is one thing I actually loved. They all have a very light citrus smell to them which doesn’t linger around for to long, its very light and clean smelling and just works. My favorite thing about the Anti-Aging Facial Cleanser was you actually saw it foam! Cleansers that claim they foam better foam in my opinion and it actually did! It left my face feeling clean and ready to take on the day! As for the Double C Brightening Serum it said it could be worn as a primer so that’s what I used it for and let me tell you! I don’t think my skin has ever felt so good with a primer! 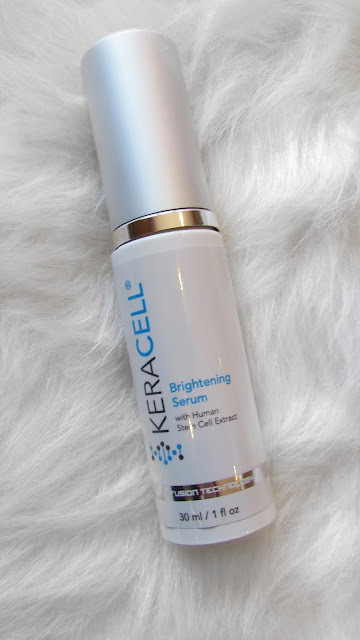 If it made your pores look smaller and smoother I think I would have found my new holy grail but that’s not what it’s meant for so I forgive you Brightening Serum! For the regular Brightening Serum it also really worked well! It gives the appearance of brighter, smoother and just better looking skin. I almost feel like it covered up some imperfections and just made me look great with nothing else on my skin! 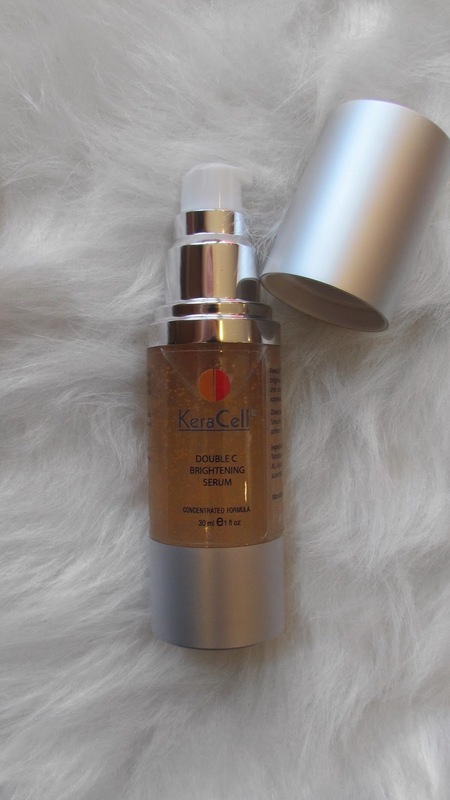 KeraCell, you did it! These products are amazing and I cannot even get over how great they are! 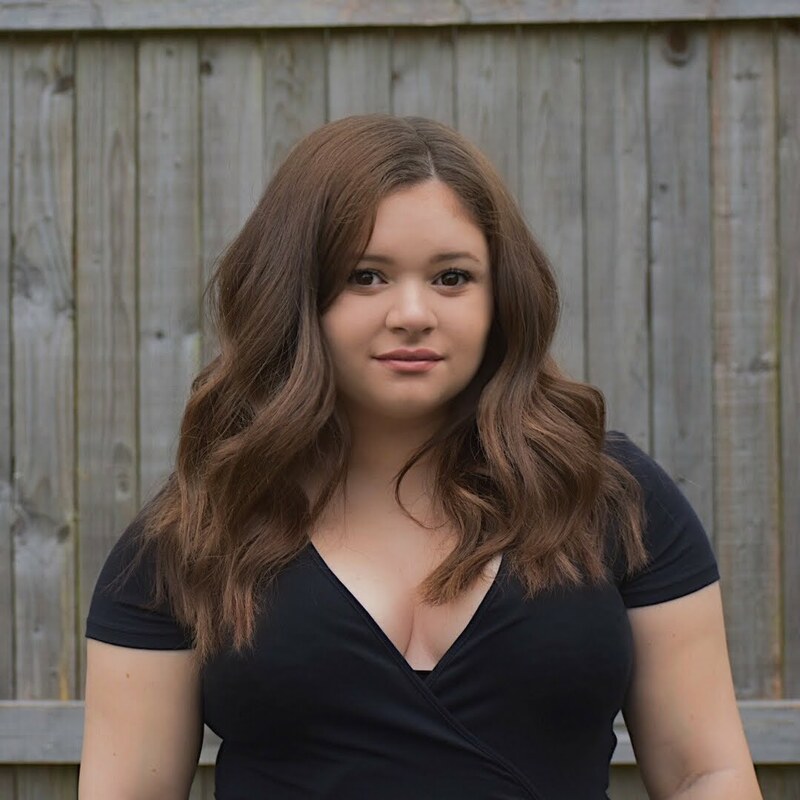 I cannot wait to try out some more products from the KeraCell line in the future because I have complete faith in this brand and the ingredients they use! Check out the KeraCell website here!